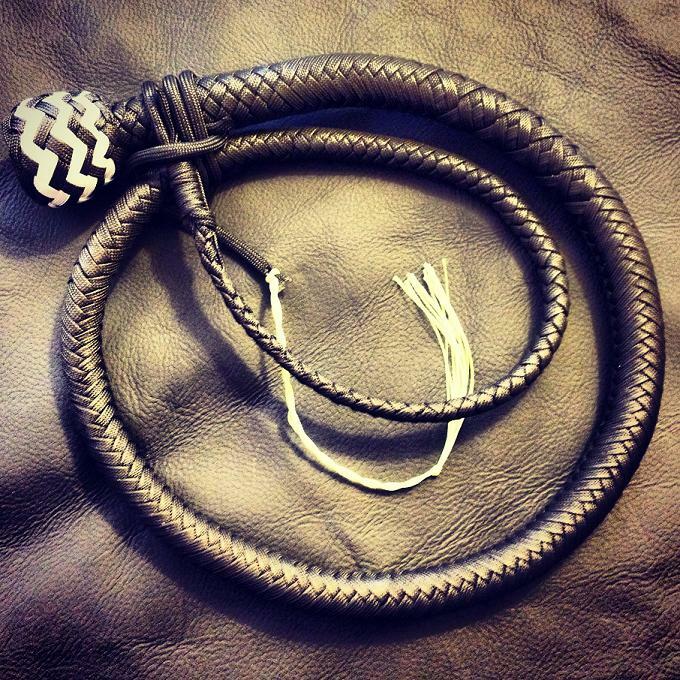 A 12 plait snake whip constructed with an 8 plait belly and lead weighted core developed by our professional whipmaker. These are small size, lightweight whips that are ideal for use indoors or at clubs. Choose from a 2 foot mini snake and a 3 foot pocket snake, or place a custom order for longer whips. Chose your knot interweave colour – the picture shows white but you can pick from all black, white, red, blue, yellow, dark green, lime green, pink, bright pink, purple, fire camo, brown, light brown, black reflective, red reflective, orange or grey. Be the first to review “Black Snake Whip pick your interweave colour” Click here to cancel reply.